Margherita Pizza (Not really a recipe, but I just make Mark Bittman‘s pizza dough, topped with heirloom tomatos, basil and fresh mozzarella. All from Trader Joe’s. I don’t usually use ingredients that are so out of season, but clearly I am wishing for summer haha). You may have noticed that my “weekly” meal plans are only 5 days long…yeah I’ve just found that’s the time frame that works best for us [sometimes we take a night off of cooking to go to a friends house or just eat leftovers]. You may also have noticed that all the recipes this week are from Everyday Food. Yeah, what can I say-I subscribe to the cult of Martha. 😉 Plus those recipes aren’t even really recipes per say, more like methods of cooking, and they often use less than 5 ingredients. 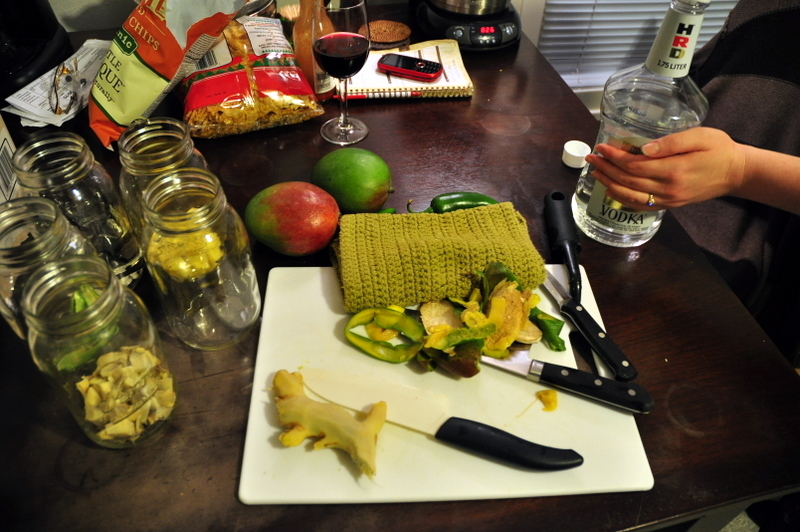 I like that picture because it shows the chips/wine carnage (probably the most important ingredients, yes even more than the vodka itself). And because you can see my engagement ring on the right! Oh yeah, by the way blogworld, I got engaged. Like, 2 weeks ago. Haha. 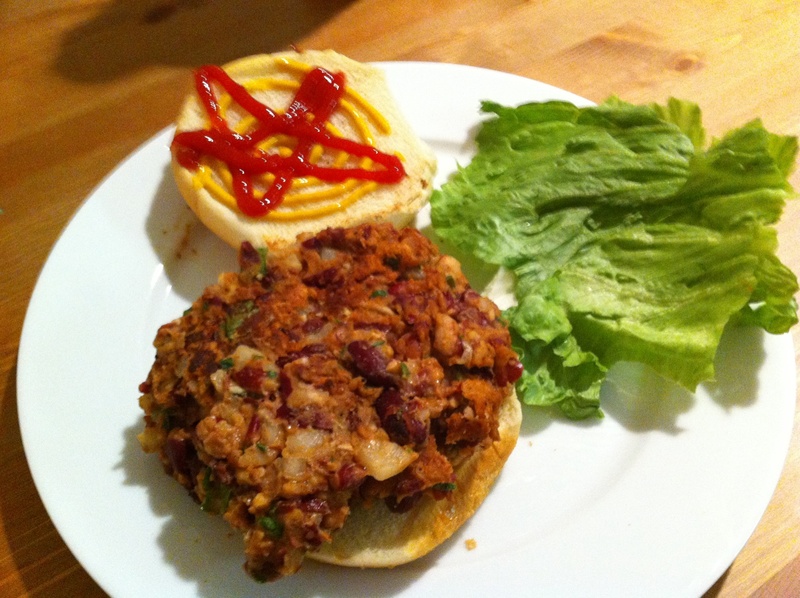 My favorite vegetarian recipe: Kidney bean burgers! One major recommendation, double this recipe! It is supposed to make “5 burgers,” but I’d put it more at about 2! Other than that, I’ve only changed this recipe slightly. 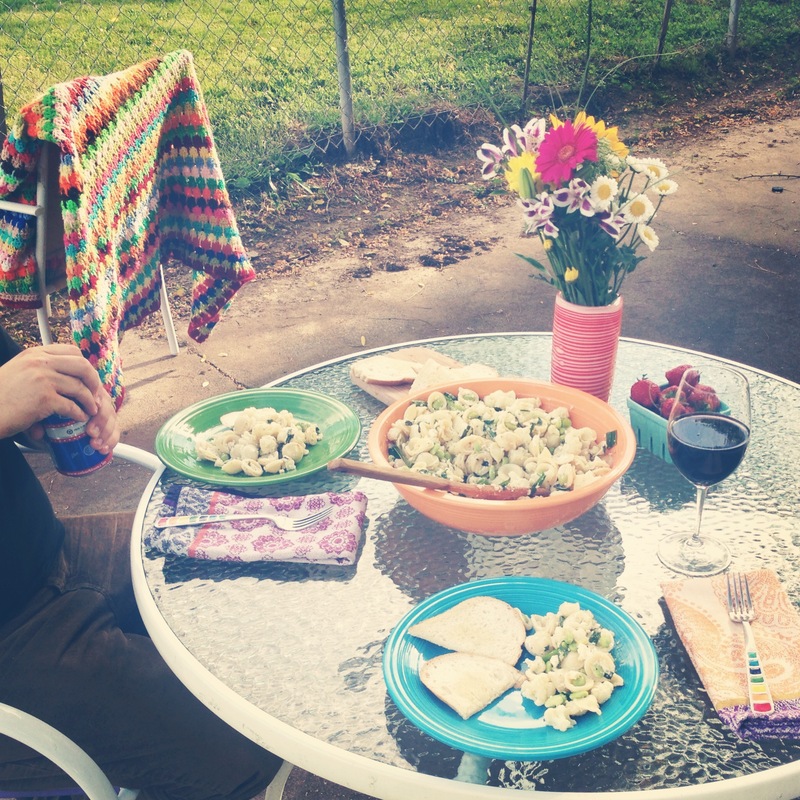 That blog looks like it has other great recipes too (and not all veggie), I plan to try some soon. In a large bowl combine the ingredients. Mix well and chill for 15 minutes. Form into burgers and fry in a small amount of oil, or in a nonstick pan sprayed with vegetable cooking spray, over medium heat. Every year my mom makes a ton of Christmas cookies and we all decorate them. 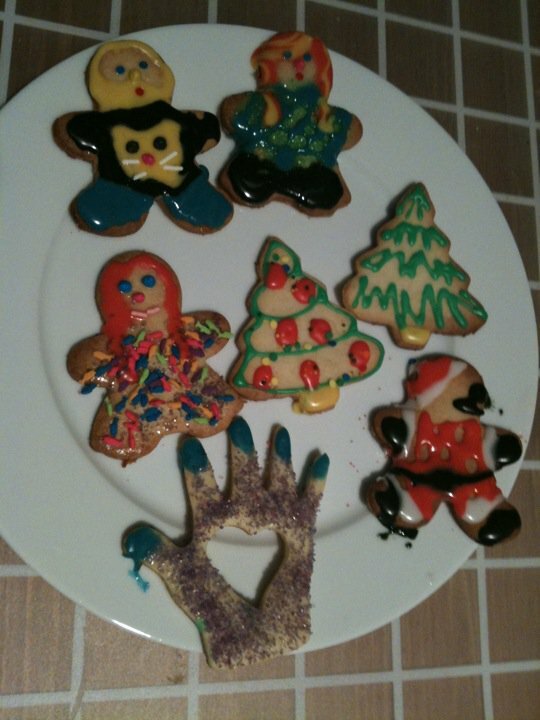 My sister is visiting, so last night we decided to make the cookies ourselves and decorate them. On the top we have me and Morgan (wearing his keyboard cat shirt), and on the left is Ms. Frizzle (from the Magic School Bus). I’m already planning that to be my Halloween costume next year. Oh and on the right is a really messed up looking Santa…don’t know what happened there.